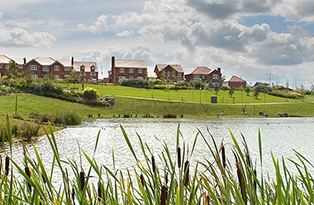 You’ll find Corby right in the heart of England, in the fastest growing area outside London. Brilliantly located to reach all parts of the UK rapidly by road, rail and air, we’re sometimes described as the northernmost town in Southern England and the southernmost town in Northern England… the truth is, we’re neatly placed somewhere in the middle! Corby is currently being transformed, thanks to a visionary programme of new business and housing developments that has already seen a 20% leap in the population in the last 10 years alone. The next few decades promise even more expansion – with the town’s population doubling to 100,000 in the next 20 years, helping to fill the thousands of new jobs being created. For any business looking to put down roots, Corby presents the ideal mix: a highly skilled workforce, a diverse economy, oven-ready development sites, multimodal distribution nodes, a long tradition of high end manufacturing… all this and some of the most competitive labour and space costs of any comparable location. In fact, it’s a great place to live – and work. Click on the other links in this section to find out the full story.